Lip gloss wearing, coffee drinking, book lover and blogger with a love for alpha males and feisty heroines! 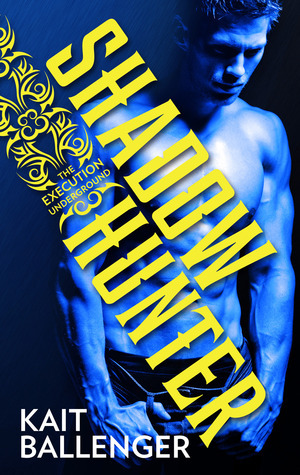 Today I have a mini interview with Damon Brock from Kait Ballenger’s Execution Underground series as part of the SHADOW HUNTER BLOG TOUR. Hope you enjoy it and Happy Monday! RtDS: Tell me about the place where you live. DB: I live in a loft apartment in Rochester, New York. Rochester is a cold, crime-ridden slum of a city, but its home. RtDS: Who is your best friend in the world and what is he/she like? DB: My best friend was my fellow vampire hunter, Mark Solow. He was the most loyal friend I’ve ever known and he was a great fighter to boot. What defined him most was the never-ending love he had for the younger sister he left behind in death. He would’ve done or given anything to protect and care for her. RtDS: Describe your ideal date. DB: It’s less about what I would do and more about who I would be with… just one more time with her. RtDS: What motto do you live by? DB: When it comes to vampires, kill first, ask questions later. RtDS: Anything else you’d like to share? DB: I’m not the sharing is caring type. RtDS: Thanks for taking time out of your busy schedule with the EU to chat with us today Damon! Vampire hunter Damon Brock’s first assignment with the Execution Underground is Rochester, New York. But he isn’t the only hunter in town gunning for vamp blood. Tiffany Solow is ruthless when it comes to slaying the monsters that destroyed her family—and she works solo. But when she meets the mysterious hunter who wants more than just her turf, the line between good and evil blurs as they must decide between their lifelong beliefs…and their newfound desires. Kait Ballenger is a full-time romance author, wife, a former professional bellydancer, and soon-to-be-professor. She is the multi-published author of the Execution Underground paranormal romance series about an international network of supernatural hunters who fight to protect humanity alongside the powerful women they seduce. 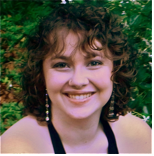 With a B.A in English from Stetson University, Kait is a recent graduate of Spalding University’s M.F.A in Writing for Children and Young Adults program, where she studied dual-genre in screenwriting.